On April 17, Pennsylvania became the latest state to pass medical marijuana legislation, which will take effect this month. And recently Ohio’s House of Representatives has passed a plan to permit medical marijuana in the state. Research suggests that marijuana – or more specifially compounds in marjuana – may have potential as a treatment for epilepsy and chronic pain, among other conditions. However, more research is needed to fully understand any potential health benefits from the substance. As of this writing, 41 states have legislation that permits medical marijuana in some form. However, the law in Texas is not considered functional, because it requires a physician to prescribe marijuana. Since marijuana is illegal under federal law, doctors can’t prescribe it. They can only recommend it to patients. Louisiana’s law had the same flaw, but the state’s House of Representatives just voted on new legislation that should correct this problem. As the director of the Research Institute on Addictions at the University at Buffalo and a researcher who studies social factors in the development of addictions, I follow many of the emerging trends in substance use. When New York state passed legislation allowing for medical marijuana late in 2015, I began to collect information on the ways that the states were approaching this controversial issue. As medical marijuana laws become more common in the U.S., it’s good to understand what, exactly, these state laws allow – and what they don’t. States are trying to strike a balance between access to medical marijuana for patients who might benefit, while also ensuring that these laws don’t become a backdoor to full legalization. And, as I have found, there is a lot of variation in terms of what states mean by “medical marijuana.” This can affect whether and how patients can access it and what conditions it can be used to treat. What Is Medicinal About Marijuana? Let’s start by looking at what medicinal properties marijuana actually has. Marijuana consists of several hundred chemical components, but the most well known is tetrahydrocannabinol (THC), which causes marijuana’s “high.” It can also be used to treat nausea and vomiting. In fact, there are two FDA-approved synthetic versions of THC, Dronabinol (also called Marinol) and Cesemet, which are prescribed to treat nausea and vomiting for patients undergoing chemotherapy for cancer or to stimulate appetite for patients with AIDS. A side effect of these drugs is euphoria, which means they can make you high. At the federal level, only these two medications are legal. THC or other extracts, whether synthetic or derived from the marijuana plant, are not. The other marijuana compound with known medical applications at present is cannabidiol (CBD). Unlike THC, CBD does not produce a high. There are no FDA-approved medications based on CBD yet, although it is being studied as promising treatment for severe epilepsy and pain. Proponents of medical marijuana argue that the combination of the chemical components present in the plant itself provides the most effective treatment for some medical symptoms. However, the amount of the medically important components differs from one plant to the next, and other potentially harmful components may also be present in the natural product. Research examining this issue is critically needed. 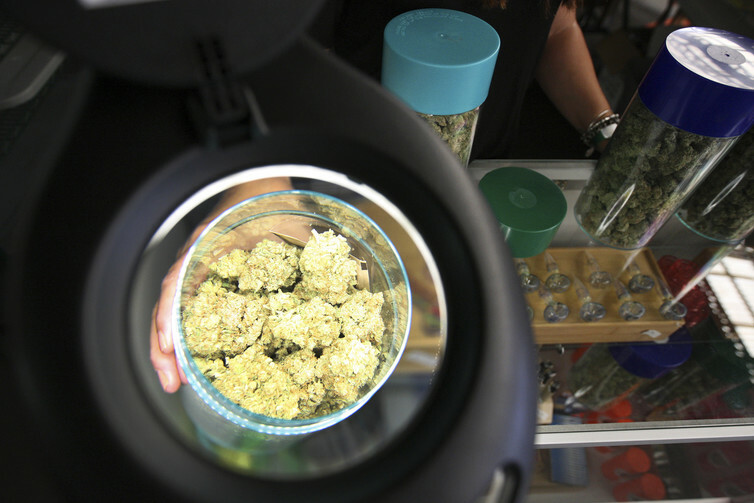 The phrase “medical marijuana” might give you the image of people buying plants or dried marijuana to smoke. That’s the case in some states with medical marijuana laws, but not all. In 21 states and the District of Columbia as of this writing, people can possess marijuana in plant form for medical purposes. But, of course, there is plenty of variation between these 21 states. For instance, in 15 of those states, laws permit people to cultivate marijuana plants for medicinal use. Limits on the number of plants vary from state to state, but most of the states allow for 6-12 plants. And some of those states limit the number of mature versus immature or seedling plants people are allowed to have. Several of these 15 states allow home cultivation only under certain circumstances. For example, Massachusetts allows patients to cultivate plants if a state dispensary is not nearby or for financial reasons. Other states require the cultivation to be in a locked area or have other restrictions. In six other states, medical marijuana laws allow people to possess usable marijuana, but prohibit them from cultivating the plant. Still with me? Good. Those are just the states that permit people to possess marijuana or to cultivate plants to some degree or another. In 15 states, medical marijuana laws allow people to possess only one specific marijuana extract, CBD, the component that does not produce a high. Possessing marijuana itself or cultivating plants isn’t allowed. If you live in Minnesota, New York or Pennsylvania, state laws prohibit “smokeable marijuana” but do allow marijuana extracts in nonsmokeable forms, such as oils that can be vaporized, oral solutions and capsules. These products are manufactured with specific amounts of THC and CBD. Now that we have sorted out the different types of medical marijuana states permit, let’s move on to the next major variation in medical marijuana legislation – what conditions medical marijuana can treat. What Do States Say Medical Marijuana Can Treat? Most states that allow people to possess or cultivate marijuana for medical purposes allow its use to treat many medical conditions, including pain, nausea, HIV/AIDS, seizures and glaucoma. 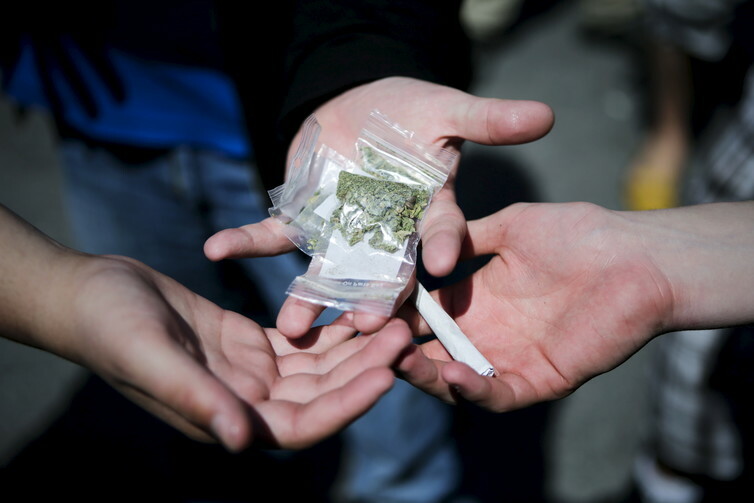 As of now, nine states also allow for the use of marijuana for post-traumatic stress disorder. Remember, in some states the only “medical marijuana” permitted is an extract, CBD. One of these states, Kentucky, allows CBD only for people in a state-sponsored clinical trial. The other 14 states that allow the use of CBD allow it only for “debilitating,” “severe” or “intractable” epilepsy. Most of these states do not have dispensaries where CBD can be purchased, or they have one single source, usually a a medical school. So if a physician in these states determines that a patient would benefit from CBD, a patient would have to travel to another state with a dispensary that sells CBD. And, of course, it gets even more complicated. Many of the states with legal dispensaries of CBD are not permitted to provide it to nonresidents. That means that even CBD though is legal in some states, it is effectively unavailable for most who might benefit. Why Is There So Much Variation Between The States? Marijuana is classified as a Schedule 1 Drug, a category reserved for substances with “no currently accepted medical use and a high potential for abuse.” This makes research on marijuana medical applications difficult. medical research can and is being done with schedule I substances; however, there are strict regulations and administrative hurdles associated with this status. With research about medical marijuana moving so slowly, states, often based on citizen lobbying efforts, have acted, creating legislation that might be based more on opinion than on evidence. Whatever your opinion is on the legalization of marijuana for recreational purposes, the array of state and federal laws regarding the use of medical marijuana is confusing and problematic for those who might benefit from such a program. It is vitally important that we clear the hurdles to clinical research on marijuana, and that we accelerate research addressing the potential benefits and harms.